at the LegalShield Corporate Office. 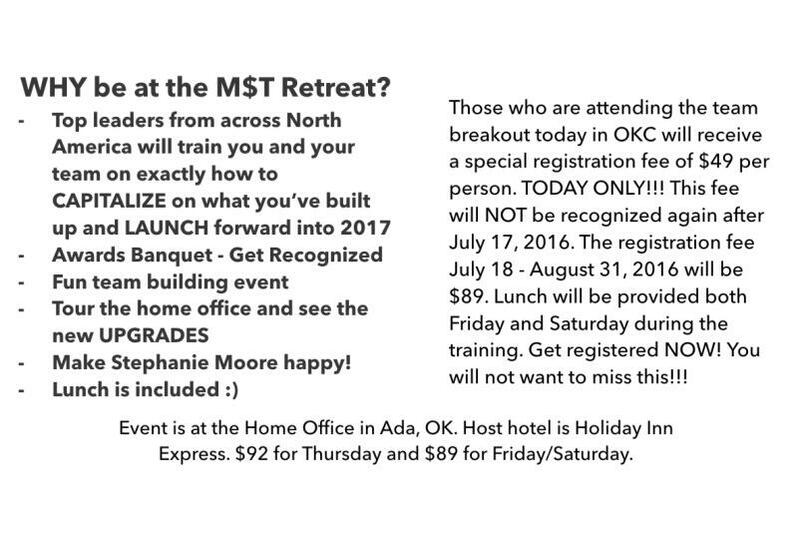 WHY be at the M$T Retreat? The registration fee for July 18 – August 31, 2016 will be $89. Lunch will be provided both Friday and Saturday during the training. Get registered NOW! You will not want to miss this! Event is at the Home Office in Ada, OK.